Gujarat Common Entrance Test popularly known as GUJCET 2017 which is a state level medical entrance exam. It is organized to offer admission to individuals like you in different medical fields such as BDS, MBBS, Physiotherapy, Homeopathy, Ayurved, Nursing, Optometry etc. 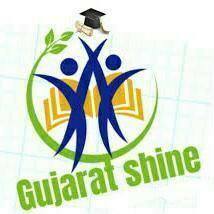 in different government and private colleges in the state of Gujarat. GUJCET is organized by The Gujarat Secondary and Higher Secondary Education Board, Education Department, Government of Gujarat. Those of you who are interested can fill the application form from March, 2017. The program for this exam is on the basis of education’s department’s syllabus for HSC (12th Science stream). GUJCET 2017 entrance exam would be around May, 2017.